Guess what? I’m the featured Hybrid Designer over at Scrap-n-Art magazine this month! I sent over this project kit freebie – because I think nearly everyone loves cupcakes. It includes the cupcake box template, cutting file and some digital papers to play with. It also contains a PDF that can just be cut by hand. 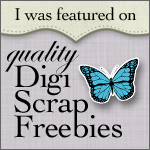 The folks over at Scrap-n-Art gave me 5 free subscriptions for this month to share! So you can get this kit plus all the other goodness in the magazine this month. Yay! So… What is you favorite cupcake flavor? Leave a comment on this post with your favorite cupcake flavor by midnight (EST) on Wednesday August 7 and I’ll randomly pick 5 people to get the free stuff. This entry was posted in Cutting Files and tagged Cutting files on August 5, 2013 by Cathy. Double Chocolate. The Cupcake Boxes are gorgeous. Congrats on the Featured Hybrid Designer. Can’t wait to read it. I love, love, love a chocolate cupcake with peanut butter frosting!! Mmmm… I think I hear one calling my name now!!! Cherry cupcakes with vanilla frosting. This is such a cute cupcake box! Thanks for the chance to win! I have recently be experimenting with cupcakes. I have made some cool ones. My family loves the Bavarian Bliss (with Bavarian cream baked into the center). I love Peanut Butter Cup Cupcakes. Ginger with cream cheese frosting. congratulations!! i love your cupcake boxes–they are adorable–thank you for the chance to win the kit. Oh yeah, my favorite flavor is italian cream cheese icing on a carrot cake, german chocolate cake, or spice cake. My favorite cupcake flavor is Red Velvet cupcake with cream cheese frosting! Yum! It would have to be peanut butter flavor, so I guess ivory for icing and darker cake for the inside. Congratulations on being published 🙂 my favourite is red velvet with strawberry frosting. Congratulations on being published, cute project! Favorite cupcake flavor? Lemon. Lemon cupcakes, lemon icing. Key lime cupcakes are amazing, too. Lemon pudding cupcakes. NOM. My favorite would be something that is made with natural ingredients. I love strawberries so maybe one topped with fresh strawberry cream -yum. Sooooo cute and Congrats! My fav flavor is carrot with creamcheese frosting! favorite cupcake flavor- Reeses!- chocolate cupcake, peanut butter frosting- so scrumptious! Pretty box! Unfortunately we don’t find cupcakes here. I think i’d love a lemon or chocolate ones. Thanks you so much everyone for playing along. (I’m really hungry now). I heard some of my favorites (lemon and carrot cake with cream cheese frosting yum!!). But now I have to try chocolate with peanut butter frosting – I’ve never had it and it sounds amazing. I used a random number generator to find the 5 winners and all have been notified.